A historical survey of the western humanities in a single-volume text. 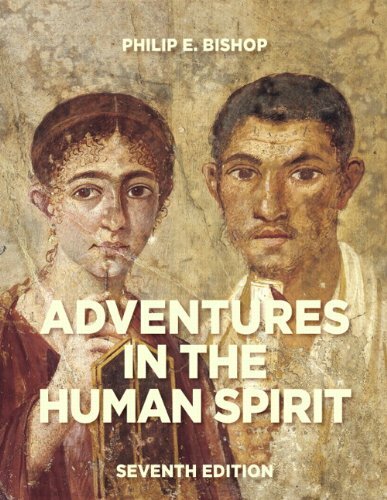 Adventures in the Human Spirit provides a balanced introduction to the major arts, philosophy, and religion. Appropriate for students with little background in the arts and humanities, this single-volume text approaches the humanities by focusing on principal events, styles, movements, and figures. The seventh edition engages students with new chapter-opening spreads, a refreshed color palette, and a clear pedagogical structure. New author Margaret Manos maintains the late Philip E. Bishop’s approachability to understanding western humanities, bringing the past to life. The new edition continues to contain Bishop’s coverage of music, religion, literature, philosophy, and science. MyArtsLab is an integral part of the Bishop program. Key learning applications include Closer Look tours, Art 21 and Studio Technique videos, and 360-degree architectural panoramas and simulations. Personalize Learning – MyArtsLab is an online homework, tutorial, and assessment program. It helps students prepare for class and instructor gauge individual and class performance. Improve Critical Thinking – Key Topics at the beginning of each chapter and critical thinking activities throughout help readers build critical thinking and study skills. Engage Students — Global Perspectives and Key Concept boxesprovide a wonderful engaging student experience. Support Instructors -Instructor resources make it easy to prepare for teaching your course. You can create a Customized Text or use our Instructor’s Manual, Electronic “MyTest” Test Bank or PowerPoint Presentation Slides.